The rollout of universal SIM cards, called eSIM, could be delayed because of an investigation into whether wireless carriers colluded to make it more difficult for customers to switch service providers. GSMA, a group that works to set eSIM standards for the wireless industry, said Saturday that the latest version of eSIM standards is "on hold pending the completion" of a US Department of Justice probe. The group added that it's "cooperating fully" in the investigation. eSIM cards are designed to be more customer friendly because they allow people to switch their wireless carrier without having to install a new card on their device. The technology for eSIM cards already exists, but it's essentially useless if wireless providers and device manufacturers can't agree on how it should be used. That's why the GSMA standards are so important. The New York Times reported Friday that the DOJ is looking into whether the nation's largest carriers, AT&T and Verizon, coordinated with GSMA on proposed new standards that would give the companies the ability to lock customers into a wireless carrier, even if their devices have eSIM cards. That could violate US antitrust law. A source also confirmed to CNNMoney that the DOJ sent letters to Sprint (S), AT&T (T), T-Mobile (TMUS), Verizon (VZ) and GSMA earlier this year. All four service providers aren't necessarily targets of the probe. A Verizon spokesperson said in an emailed statement that the DOJ's investigation is "much ado about nothing." "The reality is that we have a difference of opinion with a couple of phone equipment manufacturers regarding the development of e-SIM standards. Nothing more," the statement reads. "We've been proactively and constructively working with the Department of Justice for several months regarding this inquiry and we continue to do so." An AT&T spokesperson also said in a statement Friday that it has provided information to investigators and will "continue to work proactively" to move the eSIM issue forward. T-Mobile did not respond to inquiries from CNNMoney, and Sprint declined to comment on the matter. 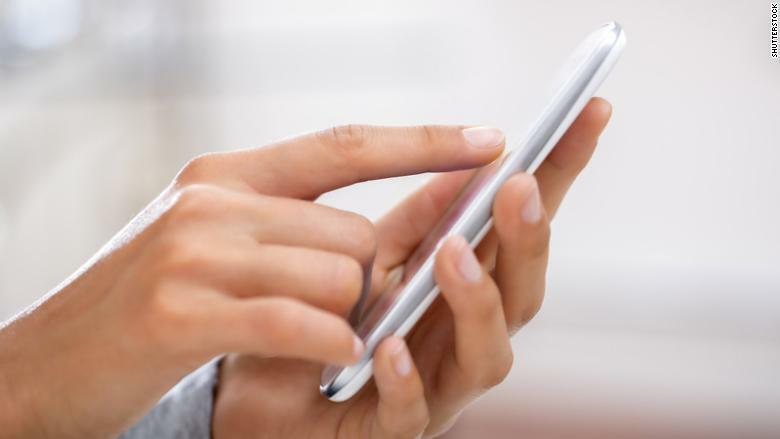 Carriers aren't thrilled with the eSIM concept because it makes it easier for customers to leave their networks, says Craig Moffett, a telecom industry analyst at MoffettNathanson. "It's no secret that none of the carriers have been eager to embrace the idea," Moffett said. Most SIM cards in use today are exclusively linked to a carrier, forcing customers that want to switch service providers to buy a new SIM card and physically swap it out on their device. eSIM technology, introduced in 2016, aims to eliminate that process with built-in cards that can easily swap wireless providers remotely with a software update. The Apple Watch 3, some iPad models, the Google Pixel 2 smartphone and the Microsoft Surface Pro tablet, for example, all come with eSIM cards. But eSIM cards are not yet widely used in the United States, and some devices that have eSIM cards can't necessarily link up to any network. Verizon, for example, does not support eSIM-connected service for Apple iPads or Google Pixel 2s. This isn't the first time eSIM standards have become the target of a DOJ probe. Officials launched a similar investigation in 2016 ahead of the adoption of an early set of GSMA rules, but investigators ultimately dropped the case due to a lack of evidence, as The Washington Post reported Saturday. —CNN's Seth Fiegerman and Hadas Gold contributed to this report.